For those who love photography, a professional camera is simply not enough. They’d most likely have a smartphone that takes excellent photo qualities handy as well. OOWA lenses offer a complete package to those who love capturing moments from their smartphone. The one I have here is the OOWA Pro Kit lenses, which have definitely improved the smartphone photography quality, along with the other additional cool effects. The Pro Kit comes with one Telephoto lens, one Wide-Angle lens, two iPhone cases (OOWA lenses are only available for iPhone 6/6 plus, 6s/6s plus, and 7/7plus), one flare hood, two lens caps, and two carrying pouches. 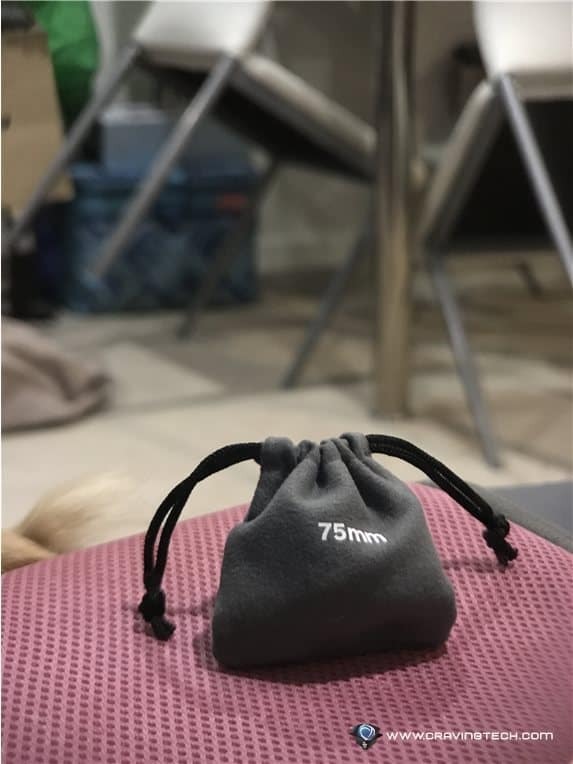 Lucky that OOWA provides carrying pouches and caps for their lenses because many other mobile lens manufacturers don’t. Judging at how fragile lenses are, this is definitely a plus. 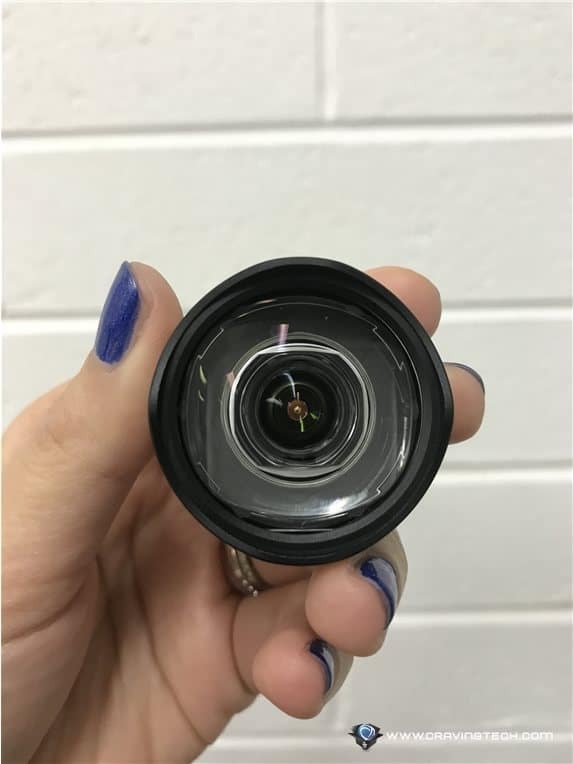 The lens’ design is similar to miniature of DSLR camera’s lenses. They have durable and high quality materials. Size wise, they are not as small and light as you’d think, so you may not be able to fit them into a small purse (which is probably why OOWA provides you with a handy pouch). 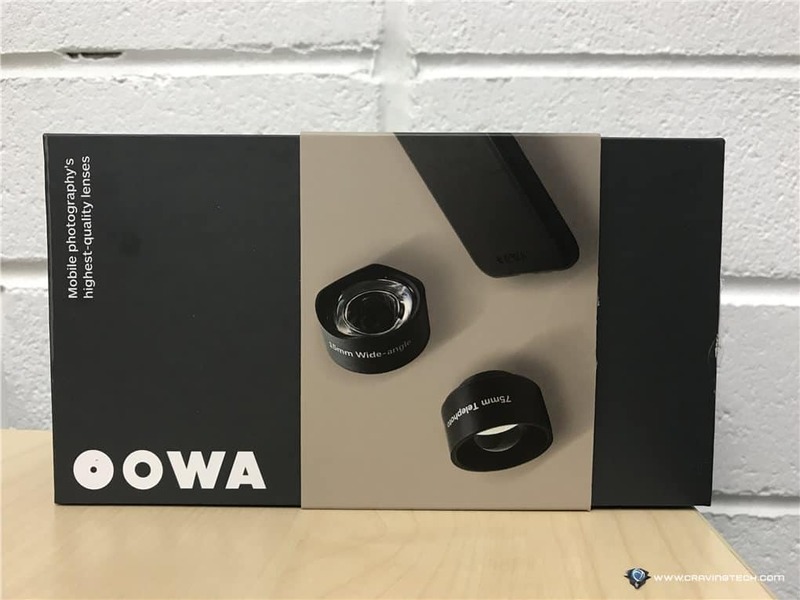 OOWA lenses are designed in Singapore from a company called DynaOptics that successfully introduced their best iPhone lenses so far through KickStarter. In order to use the lenses, you have to use the iPhone case that has already been provided inside the box to attach the lens to. 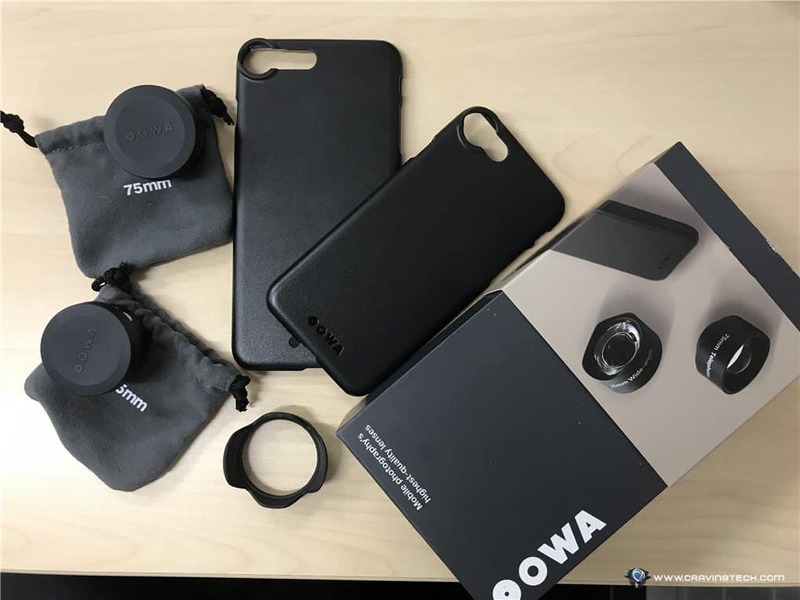 As a result, you are tied to using the case and cannot put on a case from different manufacturers that you like (unless you want to take your case on and off every time you want to use an OOWA lens). Should you ever lose the case, you’ll have to buy one again from the OOWA website. Thankfully, the case looks good and not like a cheap plastic that you can get from eBay. Case seems durable and protects your iPhone from all angles too. 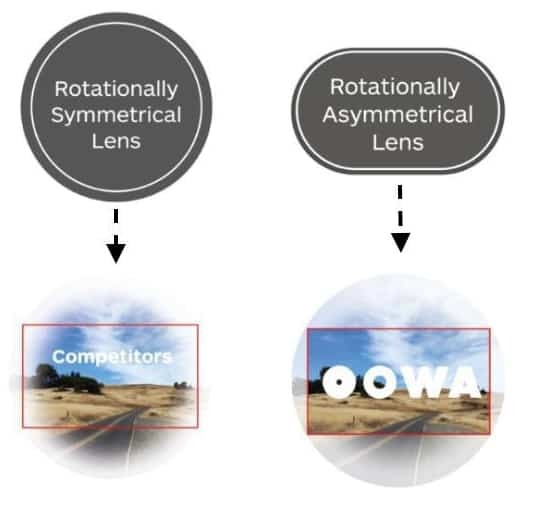 OOWA lenses come with rotationally asymmetrical lenses and you’d be surprised to find out that OOWA lenses are of rectangular shape instead of circular – which apparently gives a higher quality image. 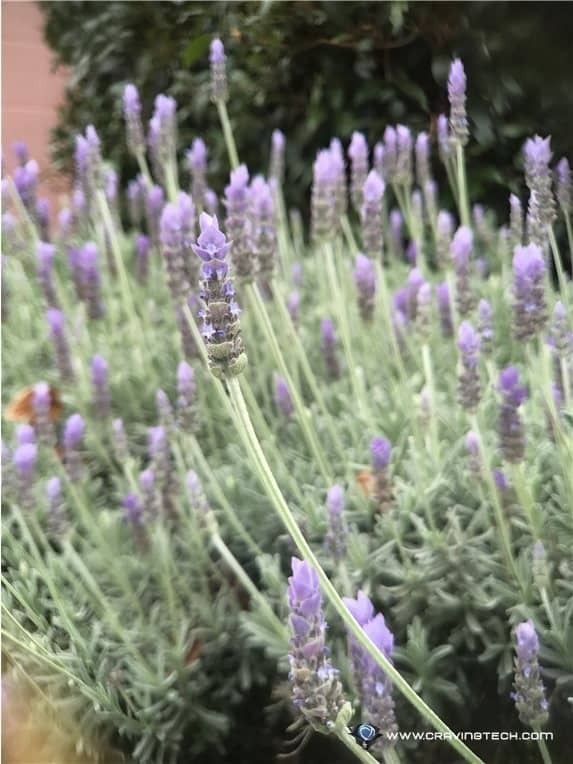 According to OOWA, both their wide angle and telephoto lenses offer less distortions compared to other mobile lens manufacturers’ (less than 1.5% distortion compared to others who’d normally have more than 5% distortion in their lenses). OOWA wide-angle lens comes with the widest angle but with the least amount of distortions, which is 15mm equivalent, 100° and less that 1% distortion. As for the telephoto lens, it comes with 75mm equivalent; 2.5x zoom with less than 1.5% distortion. Those specs definitely make OOWA as the leading iPhone’s external camera lens so far and I can certainly see why based on the quality of the photos so far. And I definitely love the 75mm Telephoto Lens (f1.75) that takes gorgeous photos with a good depth of field. Compared to the iPhone 7 Plus’ Portrait mode, OOWA’s lens is definitely more superior and have a more natural look. I love taking pictures with my iPhone and that is why I’m willing to carry these lenses inside my bag. 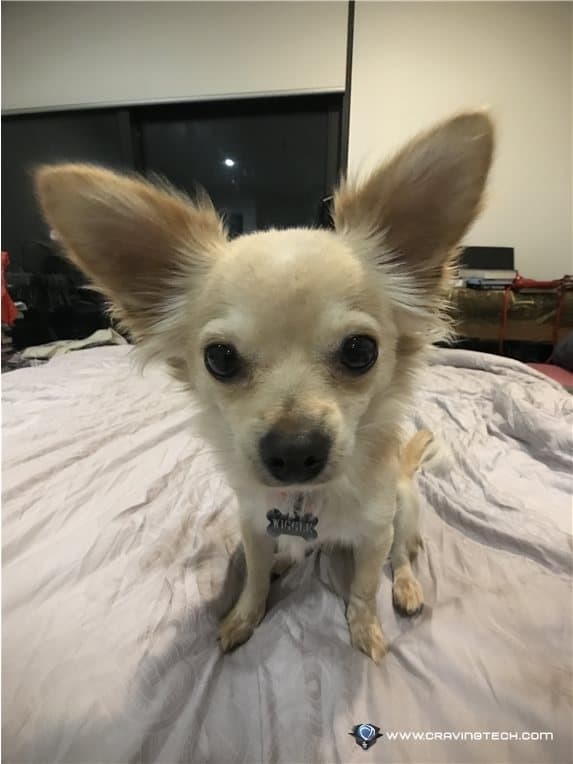 OOWA wide-angle lens add a more professional touch to my scenery pictures when I’m travelling, while OOWA telephoto lens is useful for taking food or product pictures on the go. If you really love these lenses, you’d have to be willing to spend some extra cash because they are a little bit pricey. OOWA lenses also works only on the iPhone (iPhone 6/6 plus, 6s/6s plus, and 7/7s plus) so Android phone owners will have to pass.